A unique way to remember that special day as time passes by. 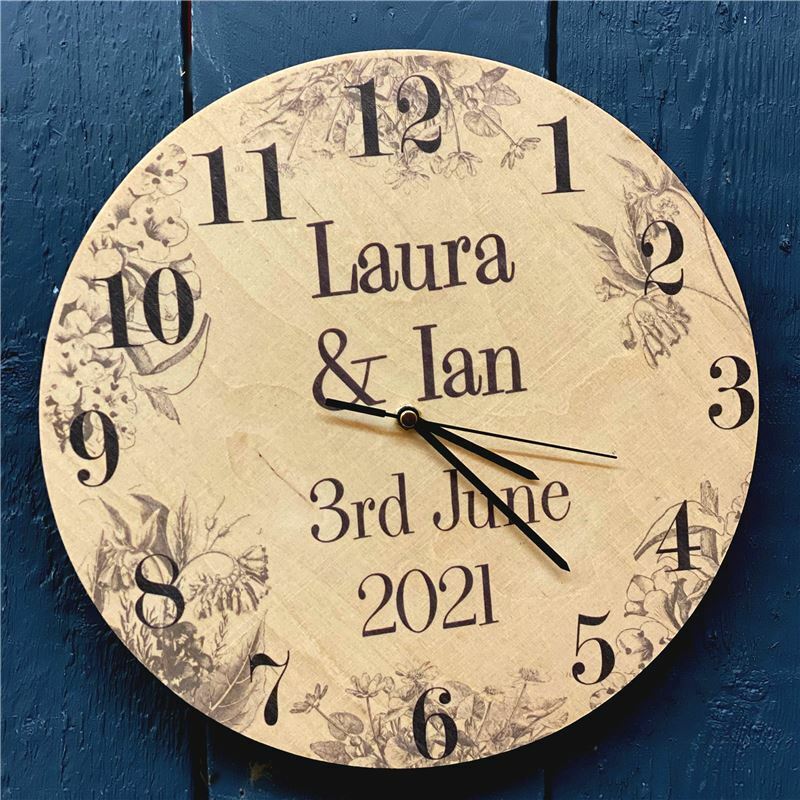 Our beautiful birch clock can be printed with names and dates . Ideal for the bride and groom but also would make a wonderful anniversay present. Made in the Angelic Hen workshop.